This year Montblanc Sartorial dresses some of its bestsellers in a camouflage pattern, in line with menswear trends. With its iconic Saffiano leather print with gray camouflage pattern, the business card holder is the perfect choice for fashion enthusiasts. 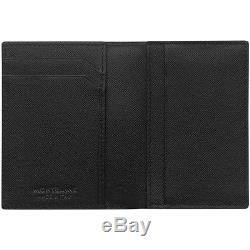 Small and elegant, it fits easily into any pocket, and holds both business cards and credit cards. Interior Organisation: Compartment for business cards, 2 pockets for credit cards, additional pocket. Dimensions: 7 x 10.5 cm. All our products are 100% authentic. Comes with original papers and package. The item "Montblanc Sartorial Business Card Holder Gray Camo leather 118685" is in sale since Tuesday, September 25, 2018. 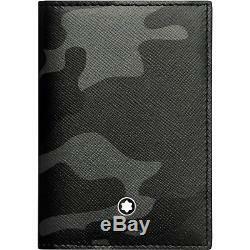 This item is in the category "Clothing, Shoes & Accessories\Men's Accessories\ID & Document Holders". 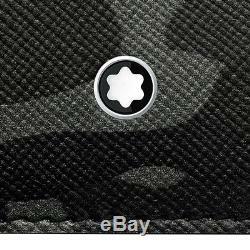 The seller is "dealsguru1" and is located in Dubai. This item can be shipped worldwide.